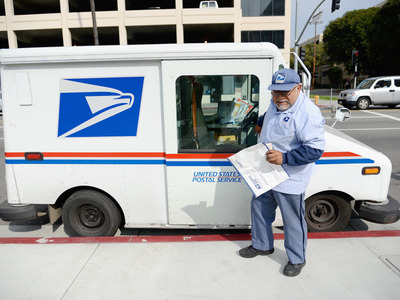 Getty ImagesThe US Postal Service has proposed hiking prices. Credit Suisse estimates the price hikes could cost Amazon up to $US1.1 billion. The US Postal Service’s proposed price hikes could be a major blow to Amazon. Credit Suisse estimates the price hikes could cost Amazon somewhere in the range of $US400 million to $US1.1 billion, CNBC reports. Parcel select is used by Amazon, as well as companies such as FedEx and UPS, for “last-mile” package delivery. The USPS’ low fixed costs and mandate to deliver mail to Americans make it an ideal option to get a package from a fulfillment depot to its final destination. Amazon doesn’t seem too worried about the proposed rate hikes, however. “We’re not expecting a material impact from these rate changes in 2019,” CFO Brian Olsavsky said during the company’s third-quarter earnings call on Thursday. A USPS spokesperson said in an email to Business Insider earlier this month that the proposed price increase was not a response to Trump’s criticism.